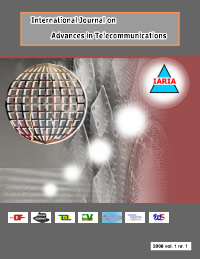 The journal targets advanced topics on telecommunications and related domains such as digital techniques, wireless and mobile communications, personal communications, broadband networks, standardization, multimedia communications, signal processing, and a variety of wired and wireless communications systems and protocols. Special topics on partial and intermittent resources, teletraffic modeling and management, small offices/home offices, audio/voice/video processing, speech producing and processing, and IP/IPTV systems could be subjects for special issues. Yean-Fu Wen, National Taipei University, Taiwan, R.O.C.